Have you ever heard about something called a Pomchi? The Pomchi is probably one of the cutest dogs that you will ever see. 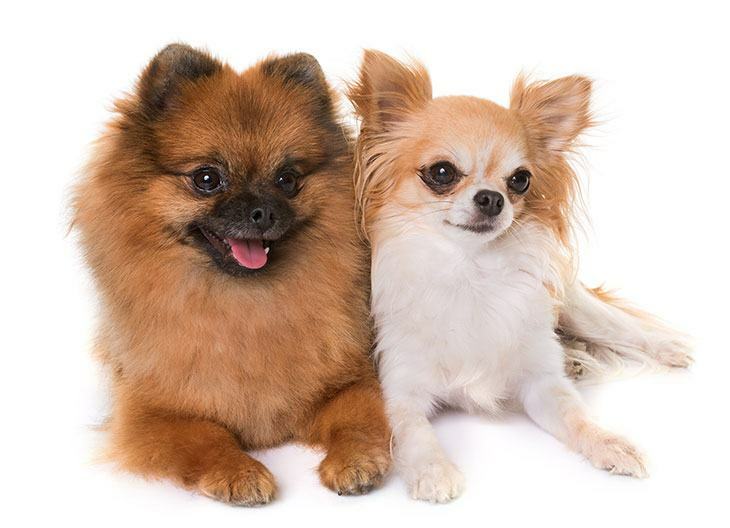 They are a designer breed and as you might guess from their appearance are a mix between a Chihuahua and a Pomeranian. The following article will be Pomchi 101, as we will break down everything you need to know about these pups. Is the Pomchi the Dog for You? Pomchies are bred by mixing two dogs, the Pomeranian and Chihuahua. Both of its parents are considered to be toy breeds. The Chihuahua is the smallest dog breed in the world. These pups are tiny and only weigh 2 to 6 pounds. They are considered to be one of the oldest breeds of domesticated dogs. It is thought to have been developed from the Techichi, a toy breed of the Toltec Indians of Central America. They are named after the state of Chihuahua in Mexico. On the other hand, Pomeranians are named after the Pomerania province in Germany. The breed became popular when Queen Victoria chose these dogs as pets. They are almost as small as Chihuahuas, and their average weight is 3 to 7 pounds. You will know this breed by their distinct fluffy appearance. If you consider how similar these two breeds are in size, appearance, and temperament, it is perhaps no surprise that people began to cross-breed them. Its two most common names is a combination of the names of the parents’ breeds. These names are Pomchi and Chiranian. The hybrid is recognized by some canine clubs and organizations including the American Canine Hybrid Club. As you might expect, the Pomchi looks like a combination of its parents. Its temperament is also often similar to that of its parents. The attributes of these two breeds result in a dog that is indeed worth your attention. Here are seven must-know facts about the Pomchi. Like the Chihuahua and the Pomeranian, the Pomchi is classified as a toy breed which means that they are tiny. They weigh 2 to 10 pounds, and on average their height is 6 to 9 inches. When they are still puppies, they are minute. So if you want, a cute and cuddly lap dog this might be the perfect pup for you. As these pets are small, Pomchies are well suited to living in apartments and make pretty good indoor pets. Their compact size means that they are easy to handle, require less space and despite their long hair don’t take too much time to groom. Also, if you like small dogs, you might consider bringing home a nice little Cavalier King Charles Spaniel. One of the most significant questions you are probably asking yourself is, how do these dogs look? As a crossbreed, they can resemble either of the parent breeds. They might either sport a long coat like a Pomeranian or a short coat like a Chihuahua. However, some Chihuahuas have long hair and fur which means that the puppies will probably definitely have thicker fur. Just like their ancestors, Pomchies come in a variety of colors and can be solid or parti-color. They are most often grey, brown, white or a shade of caramel. Rarer coat color is pure black, but this can be very attractive. The dogs have the same bright beady eyes as their parents. Although you can never accurately predict how long a pet will live, most pet breeds generally have an average life expectancy. A look at the parents might again give us the answer. Chihuahuas can be quite long-lived as their average age is 12 to 20 years. 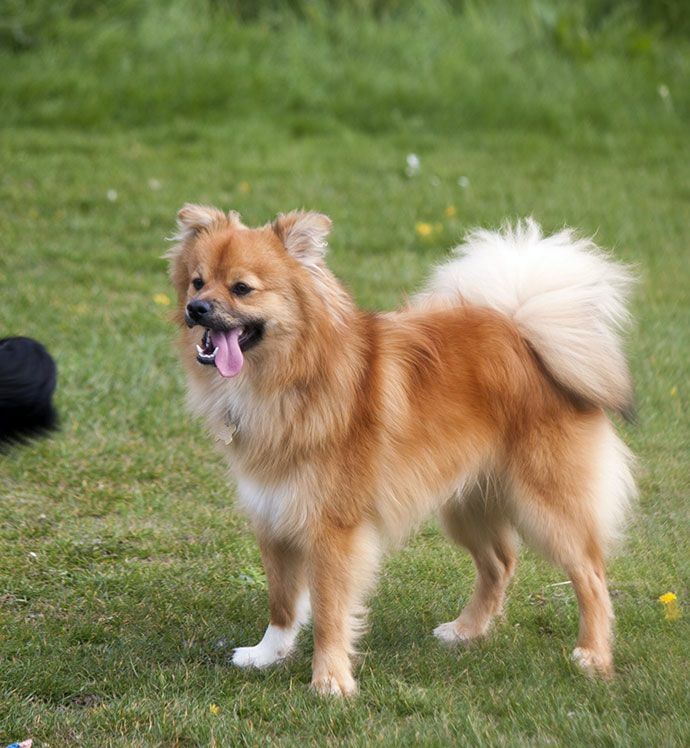 Pomeranians have a slightly shorter life expectancy as their average age is 12 to 16 years. Pomchies are estimated to live 12 to 18 years which is quite long for a dog. You should remember that indoor pets who are carefully looked after often live longer than outdoor animals. The breeding of hybrid or so-called designer dogs is quite controversial as the resulting traits are less predictable than that of purebred dogs. A primary concern is an impact that this could have on the pet’s health. Incorrect breeding can magnify the health problems of the parents. 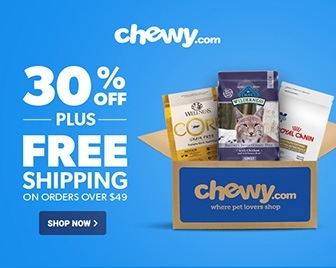 That is why you should always prefer reputable breeders who know what they are doing or if you adopt your dog from a rescue shelter you should consult with a veterinarian. You should research the health issues of Chihuahuas and Pomeranians to get an idea of potential concerns. One widespread health problem with which Chihuahuas struggle are periodontal diseases which means that it is very likely that Pomchis will also face these problems. Pomchis are usually extremely affectionate with their owners and are very loyal. They form close bonds with their human families. These are traits that are shared by Chihuahuas and Pomeranians. However, you shouldn’t underestimate them. Despite these canines, short stature these pups can be quite fierce and feisty. A downside of their loyal nature is that they can become territorial and aggressive. These dogs can become very possessive of their owners. You need to be careful with children. 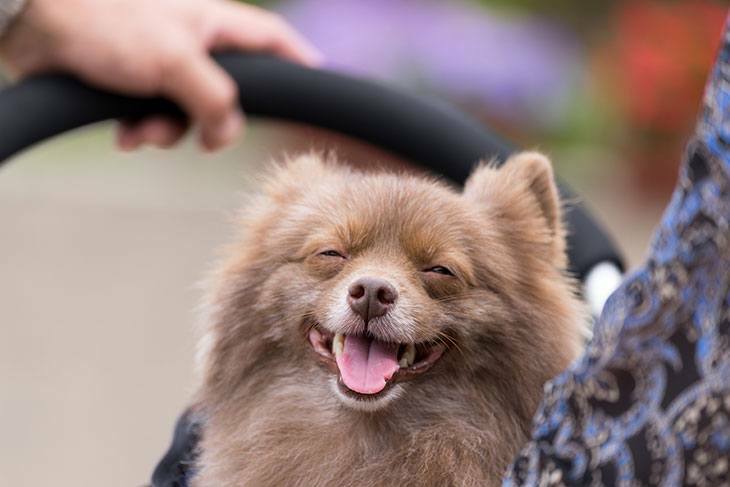 As both Pomeranians and Chihuahuas are often distrustful of children and pets that they don’t know. To be safe, you shouldn’t leave children with them if not supervised by an adult. Believe it or not, this breed makes fantastic watchdogs as they are adamant about protecting their family. But if you don’t train them well, their barking can get out of hand. 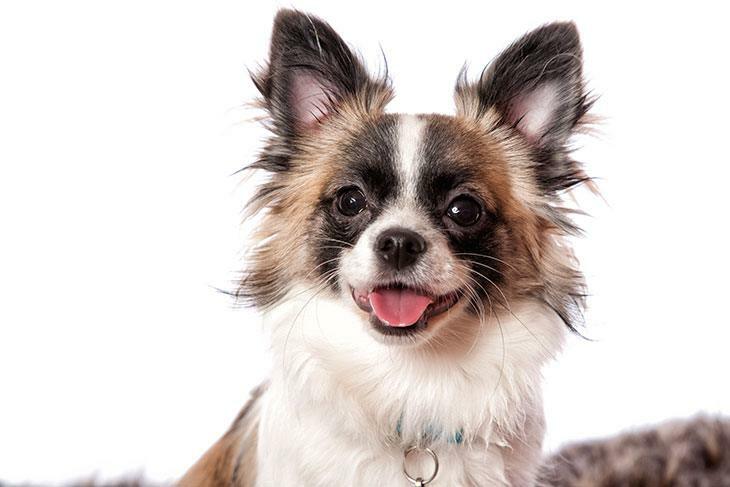 Chihuahuas and Pomeranians are both energetic dogs. Pomchis usually inherited this trait. They are active dogs who love playing. So even though, they are suitable indoor pets they should still be kept busy. However, they don’t need as much exercise as some larger dogs do. An hour or so of more vigorous activity a day should suffice. Remember that even though they are fierce, they are tiny and can get hurt quite easily. To avoid this, you should take extra precautions when you interact with them or when they are around bigger dogs or children. Pomchies are intelligent dogs, but they can be very stubborn which can make training challenging. You will notice similar traits in both their parent breeds. As they inherit it from two sides, this characteristic can be particularly prominent. However, this doesn’t mean that they are untrainable. You need to have patience. You should only use positive reinforcement during the process by rewarding them with treats and verbal encouragement. Socialization training is essential with this breed to counteract their possessive and territorial tendencies. It is always a good idea to enlist the help of an accredited animal trainer. Socialization will involve getting them used to other pets and humans. There is a lot to love about the Pomchi. Without a doubt, Chimeranians are interesting, lively dogs with an attitude who are exceptionally loyal and affectionate with their human family. On top of this, they are super cute. But the question remains, should you adopt a Pomchi? Like this list shows there are several factors you should consider before making this decision. You need to look at your household, your lifestyle, your preferences, and the needs of the breed. However, in other cases, they can be the ideal addition to your family. You will often hear them described as lap dogs and they love being a part of your household and everything that you do. As long as you treat them well and with care, you will gain a very loyal companion. If you still have doubts, take a look at video below of an adorable Pomchi puppy. Tell us in the comments what you love about the Pomchi. Feel free to share the article with all your friends who will adore this dog breed.